A Local Development Order (LDO) has been drafted that will make it easier for Gulliver's to create its proposed £37m leisure resort in Rotherham. The application for a greenbelt site adjacent to Rother Valley Country Park was not called in by the Government but is subject to a number of conditions. The family-owned firm is hoping to satisfy some of these by submitting further details to Rotherham Council. Now the authority has published details of an LDO for the 250 acre, former colliery site, which covers various aspects such as buildings, fences, bridges, kiosks, stalls, marquees, and even a swimming pool. Consultation is underway and if enacted, the order effectively grants planning permission and will mean that Gulliver's will not need to submit a planning application for each amendment or addition to the park. An LDO is a planning tool brought in by the Government to simplify planning control and speed up development. For example, in Rotherham, LDOs have been adopted which grant conditional planning permission for certain uses in the borough's Enterprise Zones. A spokesperson for Rotherham Council, said: "The LDO will allow the operators, Gullivers Valley to construct, extend and alter buildings, fences, private ways, plant and machinery as well as other things without the need to apply for planning permission. "The LDO sets out the types of development and sizes of buildings, plant and machinery amongst other structures that are expected to take place on the site. Buildings/structures that meet these requirements can be developed without the need for a planning application, which will speed up development. "Permission has been granted for up to 20,000 sqm of development. The purpose of this LDO is to allow minor changes during the construction phase, as well as minor on-going developments on the site once the development has been built out, that would normally require planning permission. "It is considered that the developments that would be permitted, subject to conditions as set out in the LDO, would not adversely impact on the wider environment or community, but would allow flexibility and reduce both delay and cost during the programme of works to build out the approved theme park/leisure complex." 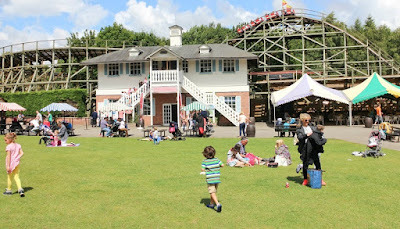 Following on from theme parks in Warrington, Matlock Bath and Milton Keynes and called Gulliver's Valley, the Rotherham proposals, are for a year round destination aimed at 2 - 13 year olds include a theme park hub, woodland adventure centre, ecology and education centre, lodges, hotels and a holiday village. Around 400 jobs are set to be created and phase one, which includes the main Gulliver's theme park with three themed areas, the entrance hub and castle, is set to open in 2020.